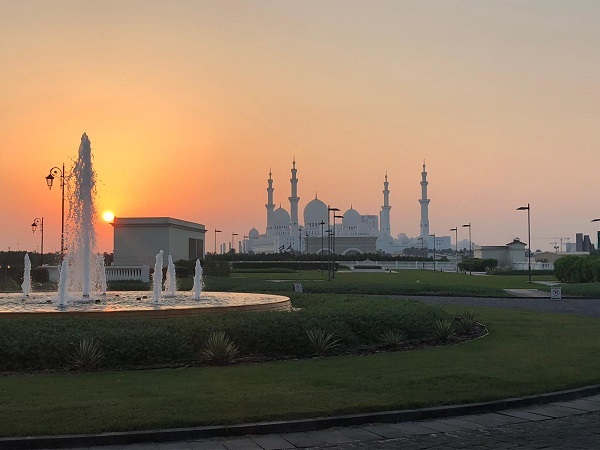 Towards the end of last year, Zoe Holmes, Senior sales consultant at our Colchester travel agents, received the opportunity to travel to Abu Dhabi. After four nights experiencing exclusive resorts, riotous rollercoasters and vast deserts, here’s why she would recommend this Emirate to anyone. Etihad Airways was excellent. We travelled in economy on the new Airbus A380. The cabin was spacious and comfortable with plenty of leg room. The inflight entertainment was very good and there were lots of films, games and music to choose from. The food was of a good standard and the menu featured something for everyone. The flights were on time both ways and the service on board was brilliant. Overall, I had a really good experience with Etihad and would definitely recommend them. This was the group's favourite property! It is located on a 9km stretch of white beach on Saadiyat Island, which is about 20 minutes from the airport. It is a beautiful five-star property which we all described as 'laid back luxury'. The hotel has a lovely wide beach and a fantastic, huge pool area, which would appeal to both couples and families. There are seven dining venues and an array of amenities, entertainment and recreational facilities. The lobby is extremely spacious, as are the 327 hotel rooms. Its convenient location is ideal for those wanting a short transfer, away from the hustle and bustle of the city but also close to cultural and leisure experiences such as the Louvre and Zayed National Museum. I was really looking forward to this one and we were lucky enough to spend one day and night here. When you walk in, prepare to be amazed. The lobby is as grand as you would imagine; it’s a large property sitting like a palace on the Grand Canal, with water features and manicured gardens inspired by Venetian and Renaissance architecture. The resort boasts one of the largest swimming pools in Abu Dhabi and, of course, amazing views of the Grand Mosque. The rooms are very elegant and have spacious balconies. There is a lovely outdoor bar here, where you can sit in the evening after dinner with uninterrupted views of the Grand Mosque all lit up. We were lucky enough to experience a gin making lesson in the sumptuous lobby bar before dinner. Highly recommended! This is a very unique hotel as it is connected to the Yas Marina F1 Circuit. Lit up in pink at night, it really is quite special to look at. The property is situated on Yas Island, with easy access to a wide range of attractions including theme parks, shopping malls, a golf course, beach and a marina. The spacious 499 guest rooms and suites offer luxury amenities which include deluxe bedding, complimentary Wi-Fi, flat-screen TVs and floor-to-ceiling windows offering spectacular views of the racetrack or marina. The hotel features 11 unique dining venues, a spa and fitness centre, as well as two outdoor pools and a kid’s zone. It’s a great hotel if you are interested in racing and in a great location to visit the theme parks and waterpark, but not particularly quiet or relaxing. It would be ideal for a couple of nights to experience what Yas Island has to offer. Due to a slight mix-up, we weren't able to look around this iconic museum. However, this is one of the premier cultural institutions located in the heart of the Saadiyat Cultural District. This amazing private island is a 20-minute boat ride from Saadiyat Island and quite spectacular. Nurai is an island of staggering beauty, with turquoise seas and white sands. It's a place filled with natural harmony, appealing to all five senses. Lovely, spacious villas (all the beds have stunning sea views!) are located amongst the gardens and every room has bikes available for private use. The Island has lovely laid-back dining options, with seafood being a speciality. It has a very romantic, getaway feel and would be ideal for honeymooners. They also offer day passes which include the boat transfer, food and drink. It is a complete contrast to the city! This is the first ever Ferrari-branded theme park in the world. The park features a mix of rides and attractions for visitors of all ages. We had a few hours here and were lucky enough to experience the world's fastest rollercoaster and the world's tallest loop rollercoaster. This is the world's largest indoor and first ever Warner Bros. branded theme park. We had the afternoon here and the chance to explore 'Metropolis', 'Gotham City' & 'Bedrock'. Here you are transported to the lands of your favourite characters for a one-of-a-kind immersive experience. We were treated to a behind the scenes tour of the race track and learned all about the different driving experiences and passenger experiences you can buy with the high-performance vehicles. We also got to see the different cars in action - definitely a must for someone into racing. I loved my stay on Yas Island. 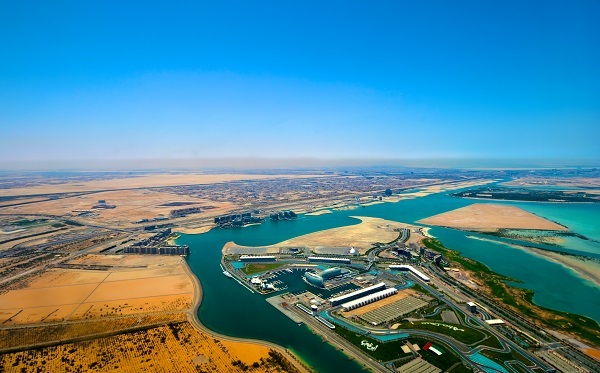 There is something for everyone - theme parks, water parks, beach, shopping at the Yas Mall with dining and entertainment and, of course, the F1 circuit. I also loved visiting the exclusive Zaya Nurai Island. Set just offshore from Saadiyat Island, this exclusive boutique destination seems a million miles away from Abu Dhabi’s soaring skyline and world-class attractions. I would absolutely recommend a trip like mine. The largest city and capital of the UAE, Abu Dhabi has something for everyone. From modern cityscapes to islands, varied coastlines, vast deserts, culture, amazing architecture, history and adventure. Whether it is for a fun stopover or a week relaxing, there are hotels to suit all tastes. From the award-winning golf courses to the adrenaline-inducing attractions of Ferrari World, there really is a mix of old and new in Abu Dhabi and we all fell in love. Must see? Zaya Nurai Island - Paradise! Must do?Formula Rossa at Ferrari World - The world's fastest rollercoaster! If you would like us to help you plan a luxury holiday just like Zoe’s, drop into your local branch. We have travel agents in East Anglia and on the south coats.